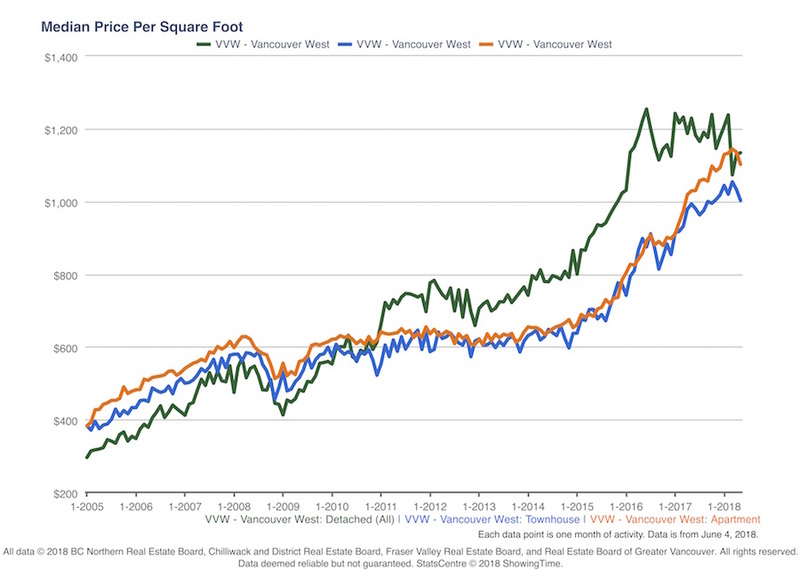 For the months of March and April, the price per square foot for apartments was higher than for Westside detached Vancouver homes. This is the first time since 2010 that this has been the case. In May, the median price per square foot climbed for houses and fell for apartments, putting apartments lower again. It looks like price per square foot sale values for the various home types are getting closer again after a protracted period where houses were significantly more costly per square foot. 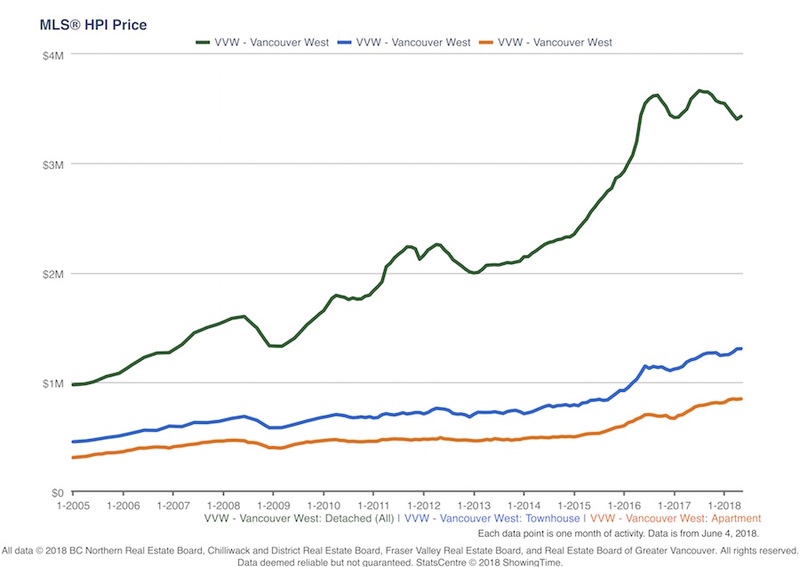 Vancouver's Real Estate Board's HPI price (price of a "typical" home) for detached homes has been trending down since August 2017 while apartments and attached homes have seen their HPI prices trend upwards over the same period. In the near term, It looks like pricing will continue to stagnate or fall for detached homes and stabilize for apartments. Months of Inventory (MOI*) for Westside houses was in double digits for 5 consecutive months from December 2017 to April 2018. It fell to 9.34 months in May. 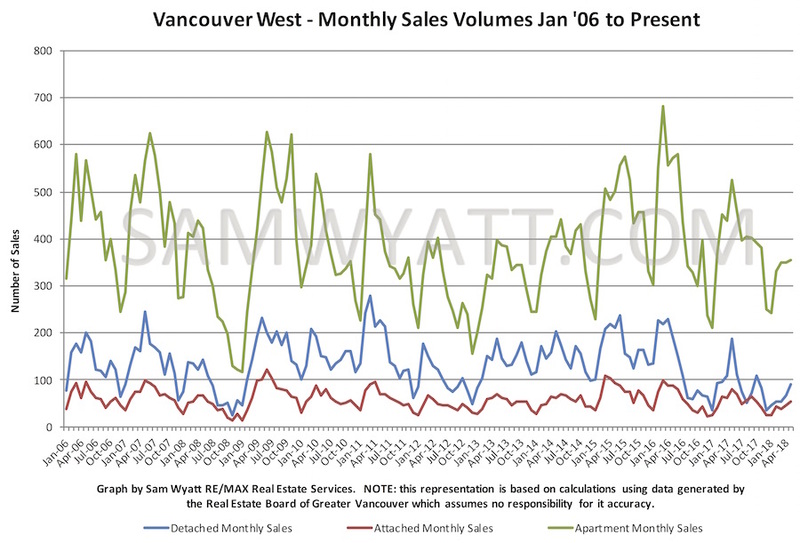 Stagnant sales were the reason for the high MOI for detached homes. The marginal reduction in MOI was due, in large part, to the lift in sales volumes from 68 in April to 91 in May. 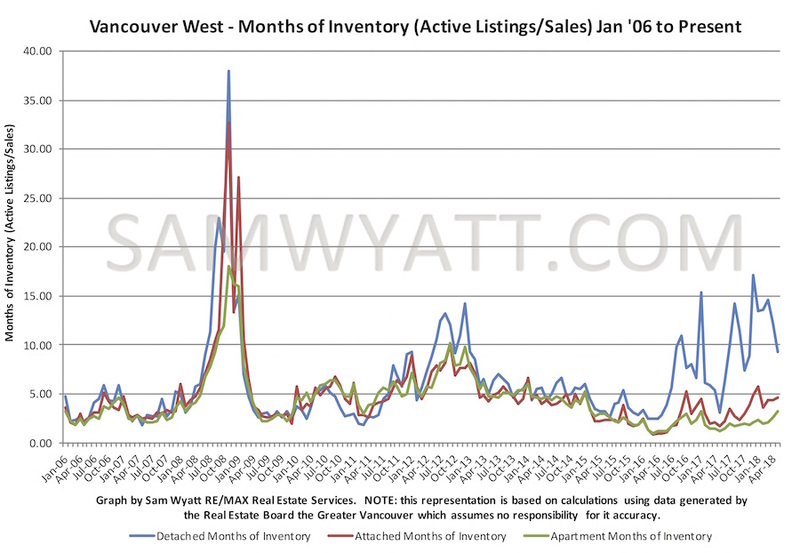 Sales volumes remain on the low side of normal for houses. Sales level off in May for apartments. Apartment active listings finally increased in earnest in May to over 1100 homes for sale. 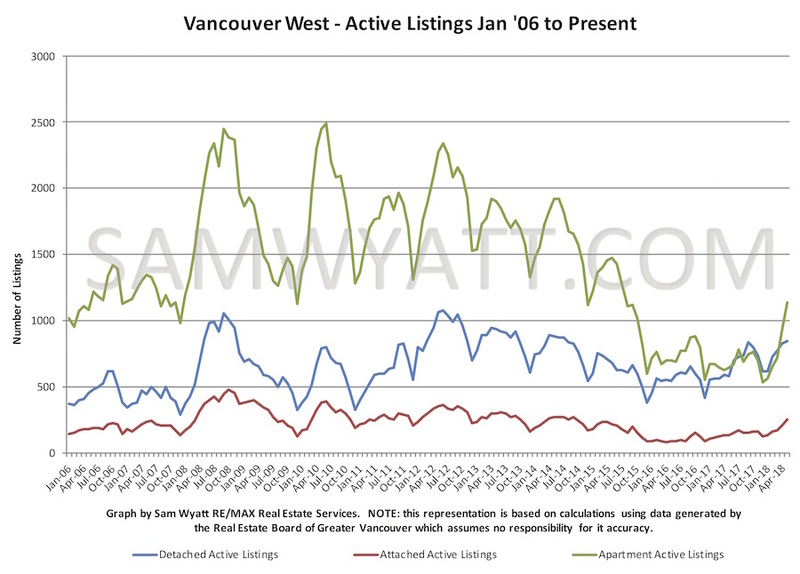 Even at 1100 apartment listings, they are well below typical active listing volumes. These low active listing volumes have been the prime driver of the low MOI for apartments and apartments' upward price trajectory to date.